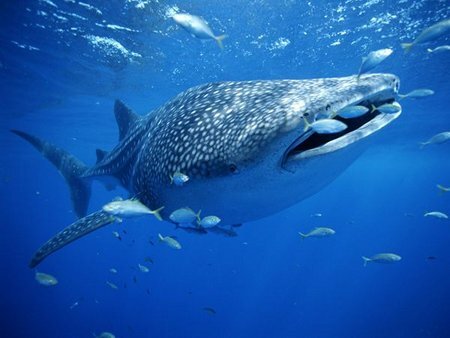 The Galapagos is on every diver's bucket list of must dive live aboard vacations. The Aggressor Fleet is offering a $1000 per person discount on the Galapagos I and Galapagos II from June 22 thru October 8, 2012. The discounted price for a deluxe cabin is $4195 per person. Limited availability on these charters. Email us today for space! Photo courtesy of National Geographic. 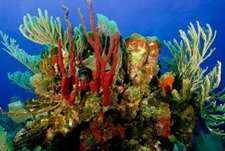 Here is the deal of the year for some fantastic diving on Roatan, Bay Islands, Honduras. Get a 7 night package that includes accommodations, meals, 3 boat dives per day, one night dive, unlimited shore dives, and airport ground transfers. This package is good for the month of July only. $805 + tax per person double diver occupancy. Rooms are selling fast! FijiMe ~ DiveMe..! 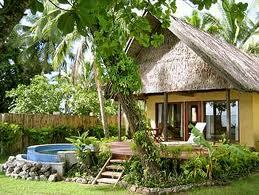 Can you say "Bula..!" - Beqa Lagoon Resort - Secluded and only 15 square kilometres, no roads, no towns, but mysterious tide pools, white sand beaches, waterfalls, bird watching, and world class diving. Our 7 night package includes R/T airfare from LAX, deluxe garden bure, all meals, 10 boat dives. $2359 per person double occupancy. Must book by June 24. Bure upgrades available. Email or call for details and availability. Explorer Ventures is offering a 25th Anniversary Special with savings of $645 per person on liveaboard cruises to the Northern Caribbean on the Caribbean Explorer II. 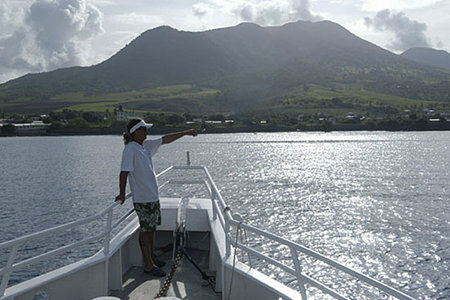 These great cruises offer up to 5 dives a day, fantastic meals, and options are available for island land tours or maybe a round of golf for a break in diving. This special is only offered for cruises in September. Now two divers can enjoy this trip for $2500 total not including international air fare. Book ASAP as the September weeks are selling fast. Dominica is home to several whale research groups and the only place on the planet where you can snorkel with magnificent sperm whales, friendly and curious about we humans in the ocean with them. Amazing! Here's a fantastic video clip of "muck" diving at the Lembeh Resort in Indonesia.